We love food, we love to travel, we love to travel in search for good food and yes we are the Food Drifters. 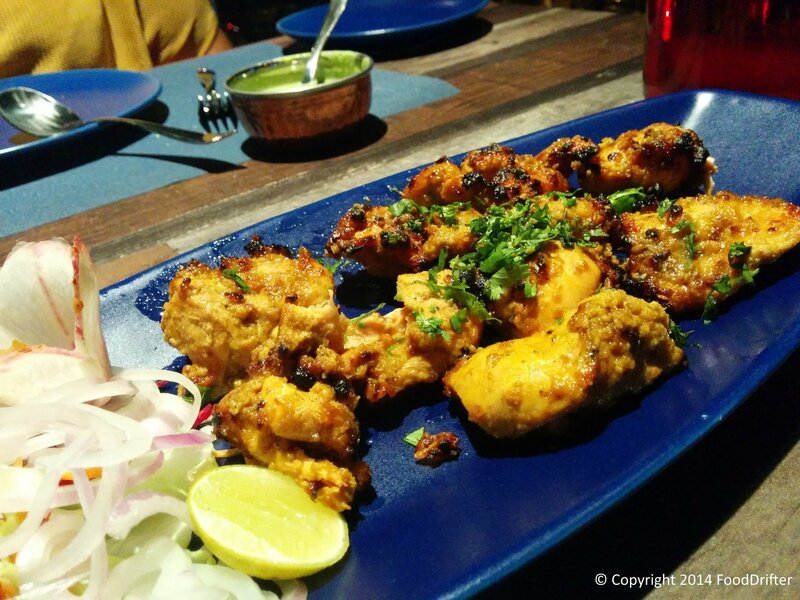 Having embarked on our quest for good food in Hyderabad, we landed up with the new restaurant on the block, Eat India Company. There is something unusually catchy about that name. Not to be associated with the former traders of fine spices, Eat India does though import all it’s spices from the north to give the deft authentic touch to the food it serves it’s customers. The interiors are done up beautifully and gives you the notion of having had a grand welcome through those steel doors and looking up you can see an ancient humongous kadhai hanging from it’s ceiling. Antiques and age-old pictures line it’s walls and yes you are walking into history when you enter Eat India Company. Housed in the very building as other stalwarts Via Milano and Urban Asia, this is another never to be missed place. The menu is all Awadhi, Mughlai and the passion for the creating wonders shows on your plate as soon as being served. The aroma of the spices used is intense, the taste simply impeccable and the food, heavenly. We tried many items on the menu already and have been wowed by everything which has come by our table and gone back wiped clean. The Biriyani, subtle on flavors and light on the palate. The aroma is simply overwhelming and the taste magical. The Butter Chicken, absolutely creamy and buttery and not too damn sweet to put you off and must haves with some Garlic Naans or Warqi Parathas. Galauti Kebabs served more like a “Roti pe Galauti” types, is sublimely beautiful in it’s own ‘hmm’ kind of way. And things to be never missed is always the Dal (Quereshi and Bukhara). Order a portion of these along with some Jeera Rice and you might have had the most simple and satisfying food in a long time. Absolutely nothing. The Phirni is little light on the sweetness quotient but that is very debatable according to an individual’s taste buds. Are we still going back? We might just already be sitting there having ordered some of the delicious Butter Chicken again and find ourselves already moved to some ethereal food world.